Sometimes even the worst things in life can turn around and become beautiful. This amazing story just goes to show that no matter how bad things get, it can turn into a blessing! 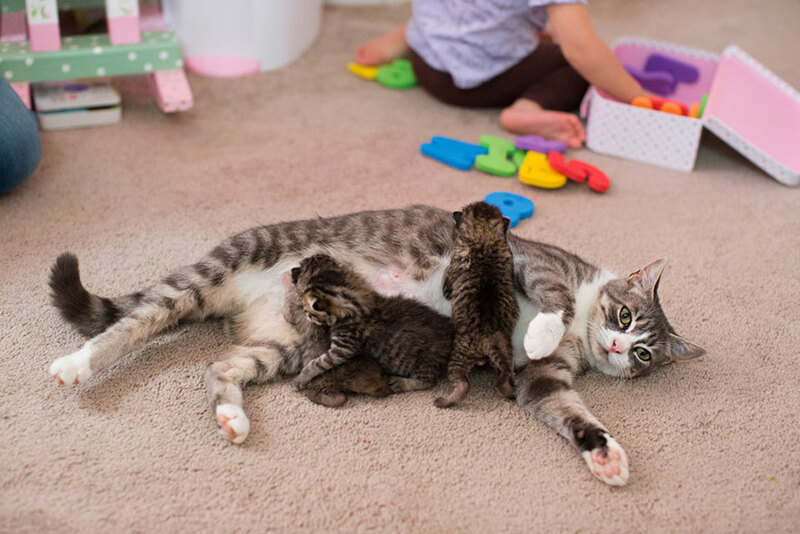 Mikey an 8-month-old cat was adopted, but then she unexpectedly had three kittens… She loved them very much, but sometimes things don’t always go the way we want. In this case, all of Mikey’s kittens died of weakness because they were prematurely born. Mikey was obviously heartbroken like any mom that loses something she loves, but we’re VERY glad the story doesn’t end here… Luckily Dori’s Darlings shelter organization in Houston, Texas had three kittens that desperately needed an adoptive mother. 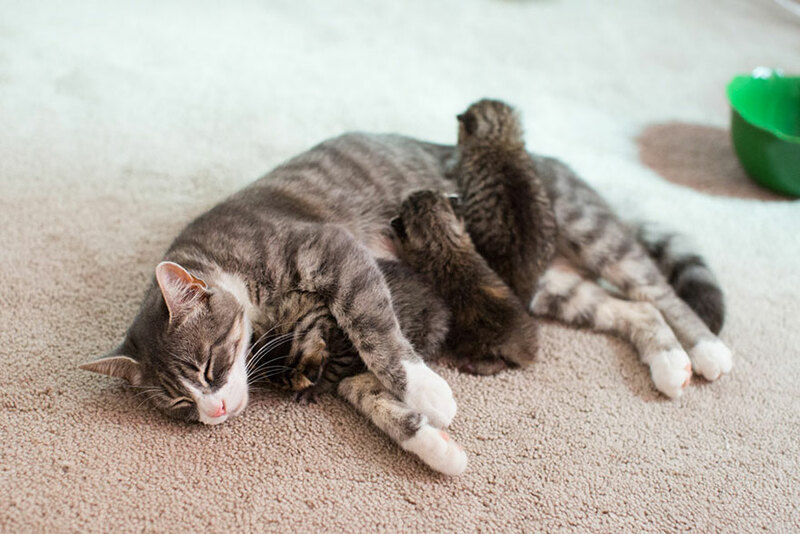 After sharing some soothing words, they introduced the kittens to the heartbroken mother who had just lost her kittens and she began to bond with them. Within a few minutes, Mikey began licking and hugging the poor kittens. After 15 minutes later, she even allowed them to breastfeed. This blessing goes both ways… What a beautiful story! 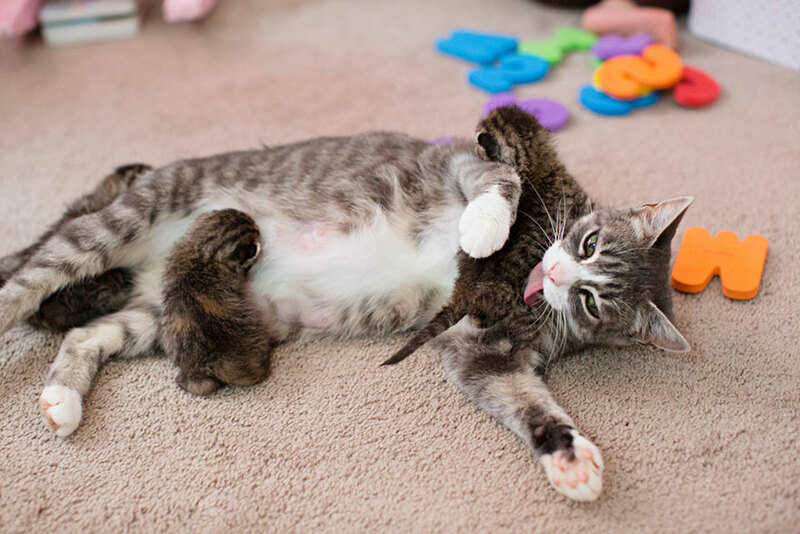 Mikey, an adopted 8-month-old mother cat lost all her kittens due to premature birth, but her owner miraculously found three abandoned kittens from a shelter that needed a mom. 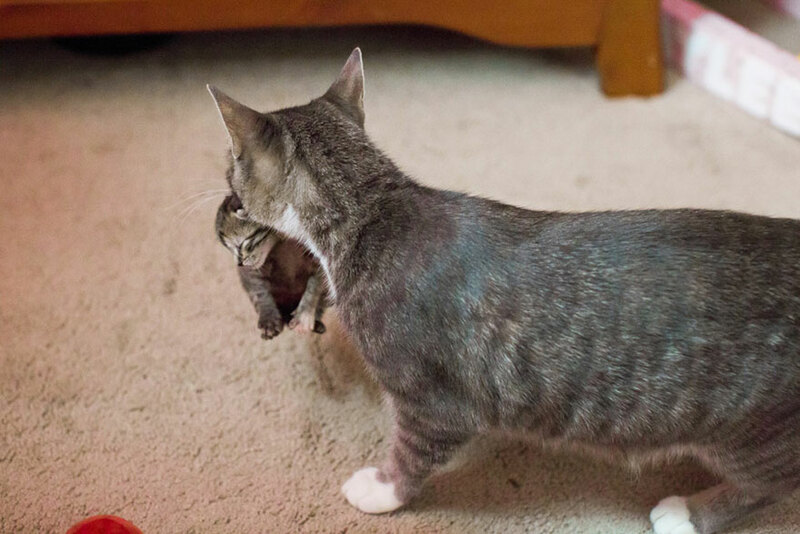 When Mikey’s kittens died, she was heartbroken and began looking around the house for her kittens, but she couldn’t find them. 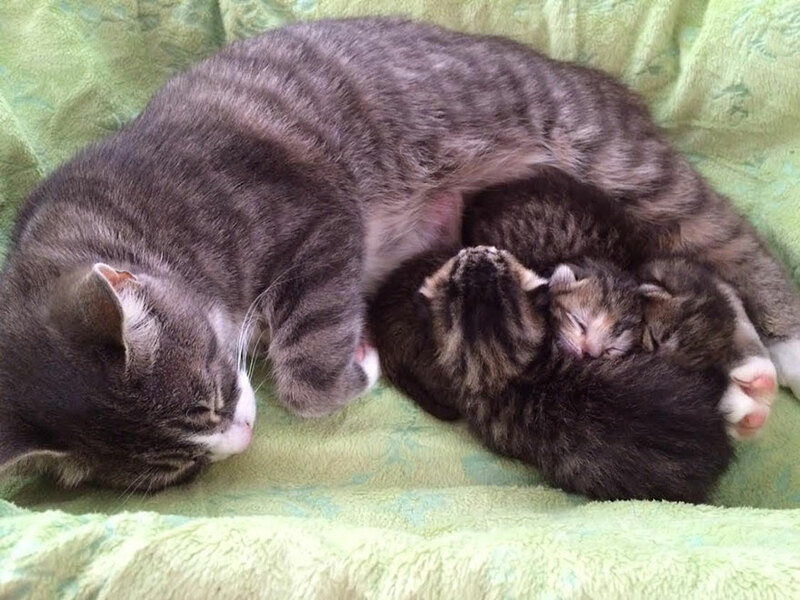 “I have some babies for you so you can be a mommy again,” Lowe the foster mom told Mikey. After only 15 minutes of waiting, they were breastfeeding just like a happy family! This just goes to show that It doesn’t matter how bad things gets, it can turn into a blessing!